While the New York Yankees continue their postseason run in the American League Division Series (ALDS) against the Boston Red Sox, CC Sabathia is already thinking about next season. The veteran pitcher, who has spent 10 years in New York, says he is not planning to retire after 2018. "I definitely want to play next year," Sabathia told a news conference on Monday. 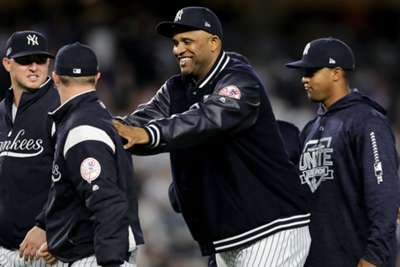 Sabathia, 38, has the support of former team-mate and manager Aaron Boone, who said he still has a few more years in him if he can stay healthy. Sabathia finished the regular season with 246 career wins, which ranks 50th on MLB's all-time list. He has won one World Series (2009), an American League Championship Series MVP (2009) and a Cy Young (2007). Sabathia is scheduled to start in game four of the ALDS on Tuesday.